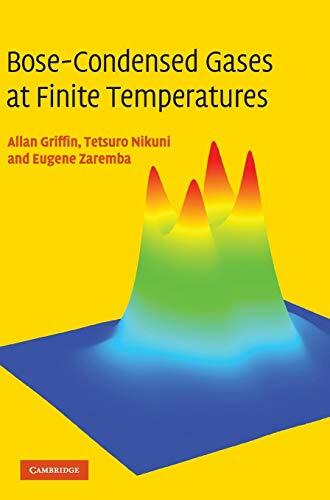 The first treatment of Bose–Einstein condensation at finite temperatures, this book presents a thorough account of the theory of two-component dynamics and nonequilibrium behaviour in superfluid Bose gases for researchers and graduate students in ultracold atom physics, atomic, molecular and optical physics, and condensed matter physics. Allan Griffin is Professor Emeritus of Physics at the University of Toronto, Canada. His research has been on superfluid helium, superconductivity and the theory of ultracold matter and quantum gases. He is co-editor of Bose-Einstein Condensation (Cambridge, 1996) and the author of Excitations in a Bose-condensed Liquid (Cambridge, 2005).